A brief history of the beloved VW campervan The origin of the VW Type II bus began just after World War II in the VW factory in Wolfsburg, Germany. In 1947, a Dutch importer called Ben Pon, noticed that the motorised trolleys used to transport parts around the factory were made from stripped down VW Beetle chassis and running gear, called Plattenwagen. He was inspired by these rather strange looking vehicles to sketch a design of a beetle-based van, which looked not unlike a box on wheels! A year later, the new chief executive of Volkswagen saw potential in this idea and the first VW van was officially launched at the Geneva Motor Show in November 1949. By March 1950, ten vehicles a day were being produced. For the next four decades, the basic design remained the same and around five million buses were produced over that time. 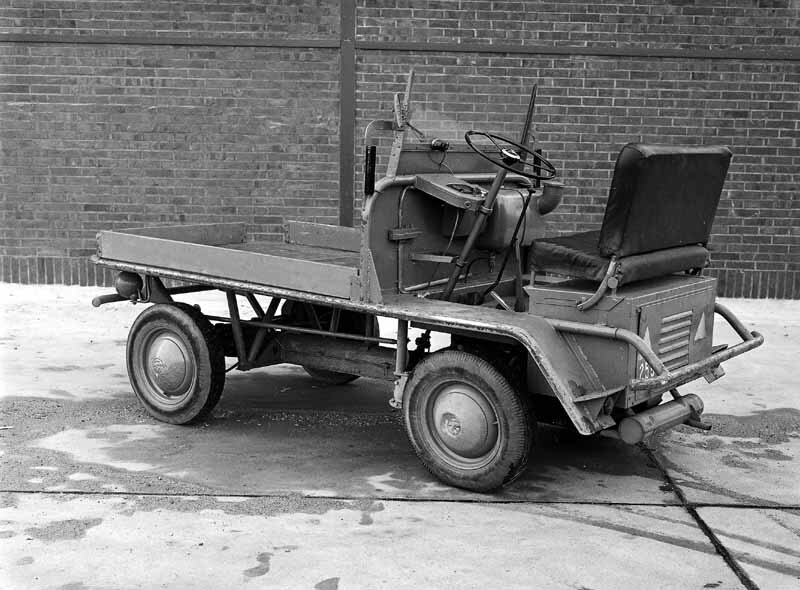 The Type II with its rear engine and ‘box on wheels’ body, filled a much needed gap in the market providing a simple but sturdy vehicle, that was flexible when it came to transportation but without a high degree of cost. 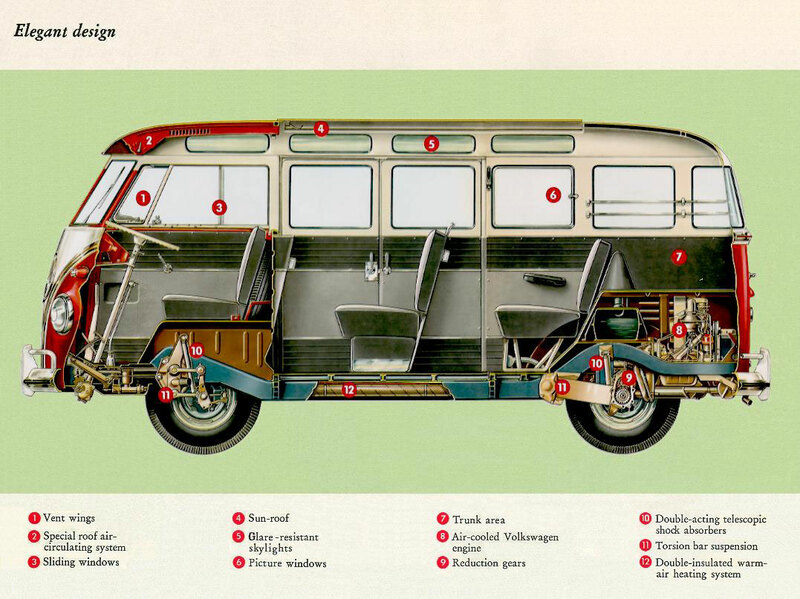 The cutaway of a Split bus showing the basic simple layout. The unique design of the VW transporter meant that the rear seats could be removed in order to transport greater loads. 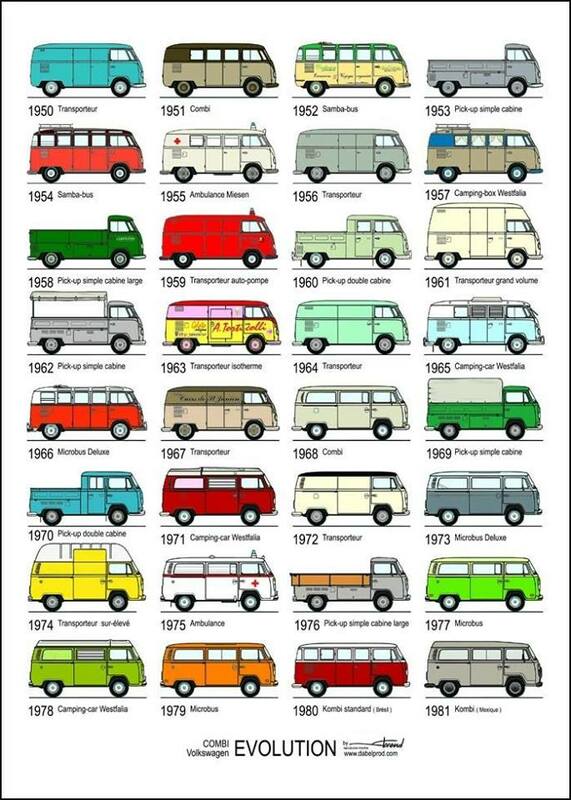 As the design was so uncomplicated, VW was able to turn out 90 different body combinations over the first five years. These variations included buses, pick-ups, fire engines, ambulances, beer wagons, refrigerated ice-cream vans, milk floats, mobile butchers’ shops, bread vans, mobile grocers, ordinary delivery vans and the well known and loved camper. 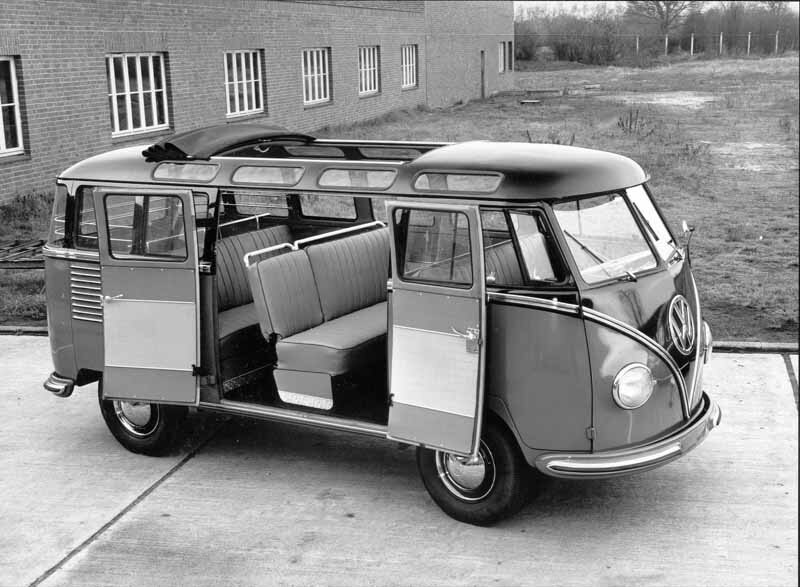 The Split From 1949 until 1967, Volkswagen produced the first generation of VW buses in the form of split screens. These ‘splitties’ earned their name due to the split windscreen and also sported a sweeping v-line front. They had a rear air-cooled engine that was simple and reliable. In Indonesia, this type is called as VW Dakota (referring to DC-3 Dakota aircraft which has similar split windscreen) or VW Cancut (referring to the underwear shaped of the V-line front). During the 18-year production period, there were a great many developments. The original buses were designed to be workhorses and came in Kombi and Panel van models. The microbus was introduced in 1950, and had the famous two-tone paint; nicer upholstery and the big cast aluminium ‘VW’ logo. 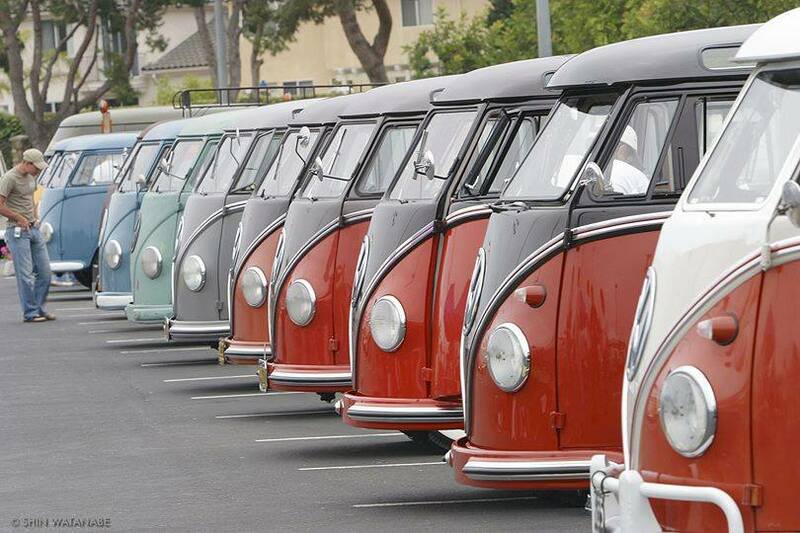 With 1951 came the introduction of the Westfalia. The name Westfalia came from Westfalia-Werke, the contractor that built the vans, located in the Westphalia region of Germany. 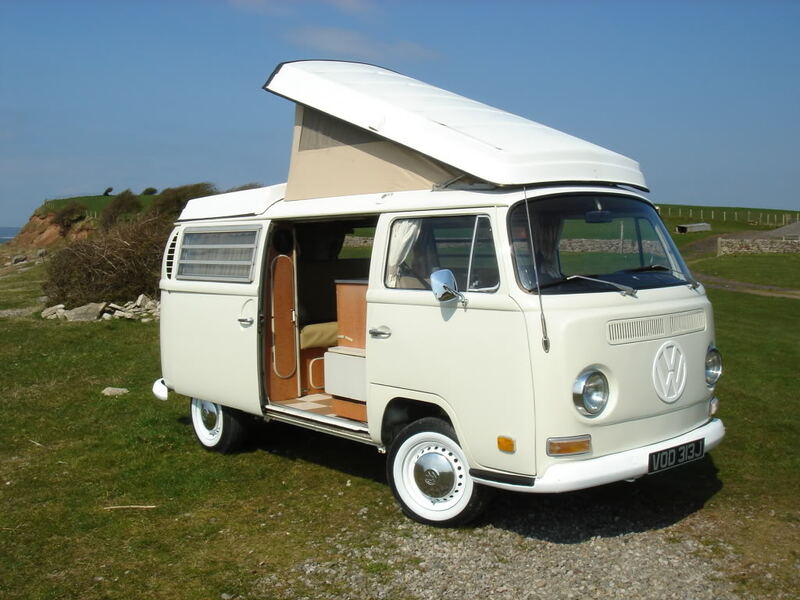 The VW camper van proved immensely popular with many features added about this time, including a longer dashboard with radio and clock, and chrome trim on the body. When the VW Camper was released in the USA in the mid 1950’s it was remarkably successful, with over 150,000 sold by 1963! In 1952 the single cab pick-up appeared and in 1954 the engine size increased. About 30 more versions of transporter were available, including the delivery van and ambulance. Four years later saw the introduction of the double cab pick-up. 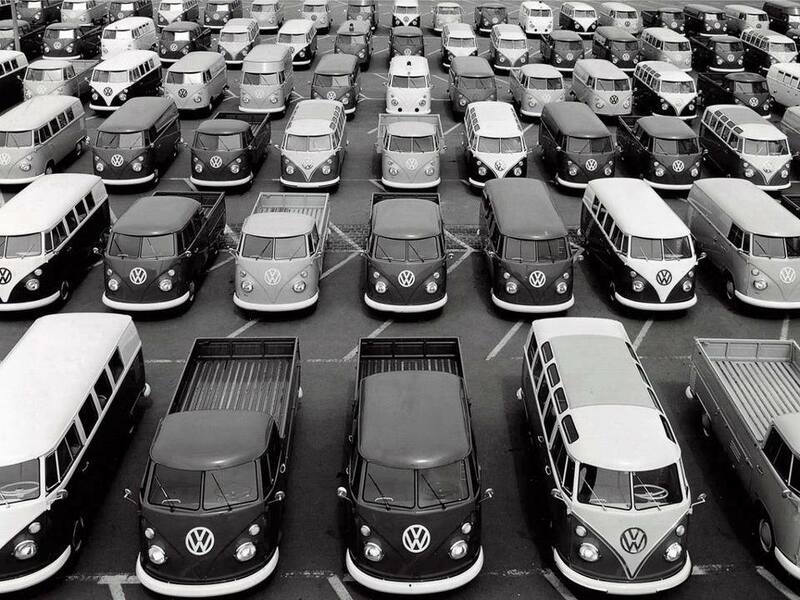 In the meantime, production of the VW bus had moved from Wolfsburg to Hannover. By 1960 the wide-bed pick-up trucks became available on special order and the high roof delivery van was also produced. Flashing indicators also replaced the semaphore. During 1963 the engine size increased to 1500cc from the original 1200cc, and the sliding side door became available as an option. 1967 marked the end of an era with the conclusion of split screen production, with 1,477,330 buses in the marketplace. The Bay The split-screen was replaced in 1968 by the ‘early bay’ window version. The style of the bay was a radical rethink, with major suspension changes and engines now being fitted with a stabilising ‘back bar’. A one piece windscreen and wind down windows also added to the changes – in fact just about every mechanical part and body panel was changed! The Early Bay camper; notice the indicator lights are located below the headlights. 1973 then saw the introduction the ‘late bay’. This saw changes in the ‘wrap around’ style bumpers being replaced with the square style, front indicators being moved up to the new grille, and with the option of larger engine sizes (1600cc, 1700cc, 1800cc and 2000cc) the buses became far more reliable. 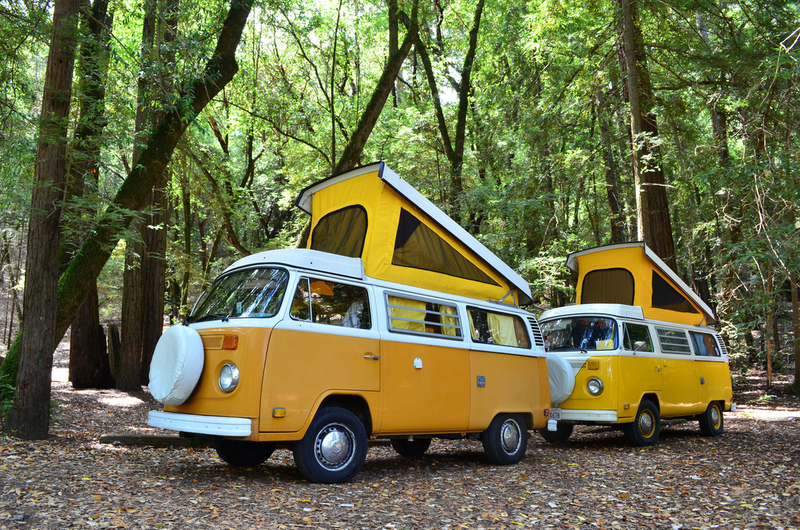 Late Bay campervans with pop-top roof. It was really the bay that made the ‘camper’ such a triumph. 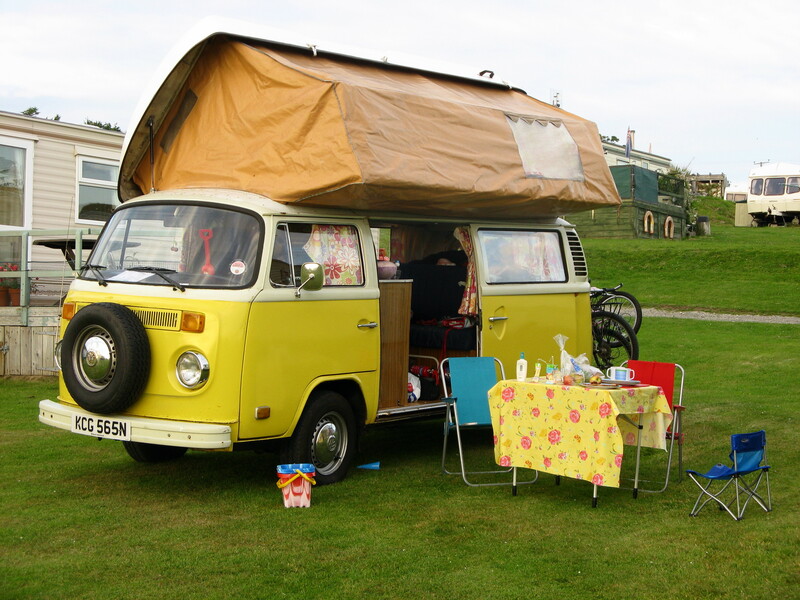 The Bay as a van was larger than the previous ‘Splitty’, and these were converted by various firms such as Devon, Viking, Danbury, Dormobile and Westfalia. These firms offered different interior configurations for sleeping, storage and cooking as well as various types of roof. These ranged from straight up vertical pop tops, to front, side and rear hinging. The last bay was produced in 1979. This also marked the end of the famous VW air-cooled engine as the next generations of campers would have engines that were water cooled. Between August 1967 and July 1979, the production line had rolled out 3,292,272 bay window vans. The T25 and T4 were produced over the following years, and the subsequent T5 is continuing the massive success the of the VW camper. The Splitty and the Bay were truly iconic vans that represented an era of freedom and fun. That is why we restore them and cherish them – they are history on wheels and memories of childhood days gone by. 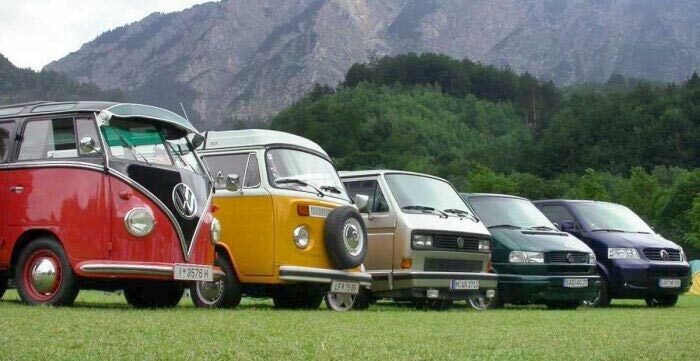 VW Transporter family. Left to right: T1 (1950-1967), T2 (1967-1979), T3 (1979-1992), T4 (1990-2003) & T5 (2003-present).